Big Baller Brand is all about their brand and their money! The company is reportedly charging media outlets $3,500 to film LaMelo Ball and the SPIRE Institute in their tournament this weekend, according to Adam Zagoria. Ball will be playing with SPIRE in the “Big Baller Beatdown” at Marshall County high school that is located in Benton, Ky. This is just one of many multiple streams of income for the Ball family. Still, there is money swirling around LaMelo Ball and his association with the Big Baller Brand, which now has several revenue streams, including Big Baller sneakers and other gear; the Facebook show “Ball in the Family,” for which the family was paid “millions,” ESPN reported in 2018 via sources; and, most recently, lives treams of SPIRE games. 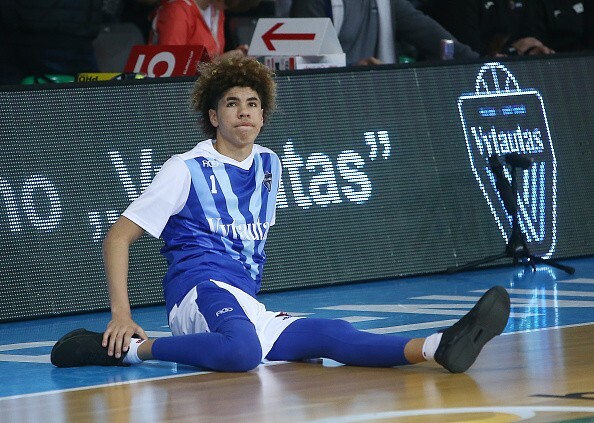 The Ball Sports Group in November entered into a partnership with FloSports Inc. to live stream five SPIRE games featuring LaMelo, beginning with one on Tuesday (today) at Brush High School in Ohio. FloSports Inc. agreed to pay $5,000 per game, according to the contract which was signed by Foster. Hate the Ball family or love them, but they clearly know how profitable their entire family has become and taking advantage of it at every turn. It’s the Big Baller way!